In the past, I’ve said that when it comes to teachers, my personal preference is to have a very rigorous and strict one. I want someone who can be at the helm of my progress. I don’t want it to be any other way, because I know that in order to get to the next level of understanding and training I’ve got to be challenged, and reined in, altered and re-formed. So, for anyone else who’s also undergoing renovation, there are a few key differences I’ve found that’ve made a big impact on my progress. If I could distill them down to one principle, it’s this: be conscious of the incessant need to have the last word with your instructor. For instance, my teacher gives me a correction, a gentle reminder. And whether I agree or not, my response is either “yes, ma’am” or “yes, sir”. It’s not up for negotiation. Why? We have already agreed, by mutual compact, that I don’t know better. That’s why I’m there. It’s also why she is the teacher and I’m the student. Now, I’m not advocating following someone blindly. Critical thinking, careful analysis and consideration…these things are part of study. I am, however, asking that we check what’s going on within if we feel impelled to have the final word. Ultimately, I believe it points to one of our most persistent blind-spots: the need to be right all the time. That process is ego’s last ditch effort to save itself. 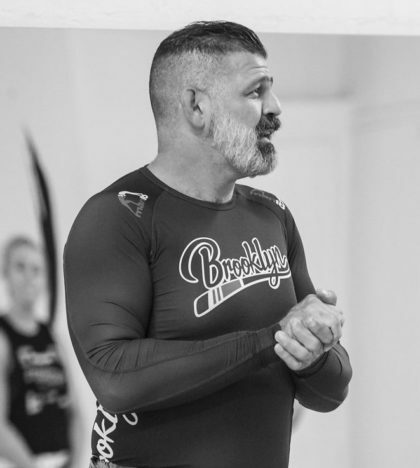 Such a large part of martial arts training is finding what’s on the other side of our fearful protection of ourselves that we can’t be held hostage and still expect to make progress. So once we’ve gotten the ourselves all set – the training, the instructor, momentum with our own process – it’s a folly to scrap the whole trip. Instead we’ve got to buckle up for the ride, no matter how bumpy it is. ← What’s On The Plate?